This week is our first DCS Dining night out! Join us tomorrow, September 18th, at Dairy Queen on Cahill in Inver Grove Heights from 4-8pm and a portion of ALL sales will go to support DCS. Have dinner or a treat or both! If you’ve never done a DCS Dining night they are really fun. The kids love seeing each other and their teachers outside of school. Also our first free dress day is Friday September 21st. The last Friday of the month that school is in session is a free dress day. Kids are allowed to be out of uniform. To see all the free dress days you can check out the calendar on this website. Thanks to the families who walked with DCS in the parade on Saturday! It was fun to walk and fun to also see our DCS families cheering us on from the audience. 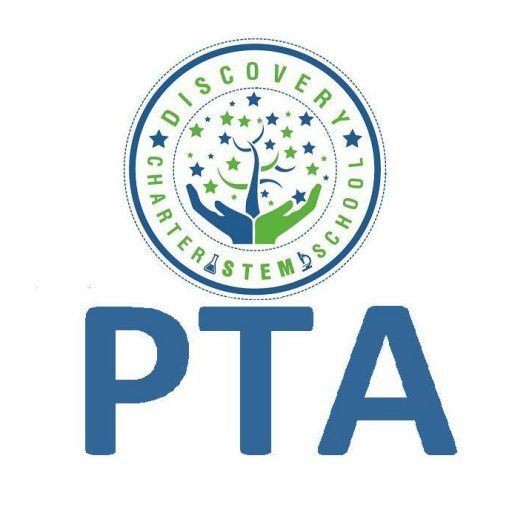 We have our first PTA meeting tomorrow at 6:30pm. We have 2 older young ladies that offered to help keep an eye on the younger kids so you are welcome to bring children. We meet in the main entry way and the kids hang out in the gym. If you haven’t filled out the membership form/paid the $10 dues you can do that at the meeting. Also – you don’t have to be a PTA member to attend a meeting (only to vote). Friday is our first spirit wear day! Kids can wear spirit wear or plain blue or green shirts with their uniform pants. HAVE A GREAT SECOND WEEK! Welcome back everyone! I hope all the parents and kids had a great first day, despite the transportation issues! I saw a lot of hugs and high fives this morning…a few nervous faces as well but hopefully those didn’t last too long! Our first event is our PTA meeting Tuesday September 11th at 6:30pm. Our first dining night out is at Dairy Queen on September 18th. For those who don’t know what these night are…the restaurant gives back a portion of the sales they make that day to the PTA. The PTA uses that money for bus reimbursement for field trips. These nights are a lot of fun! The kids gets so excited to see their friends and teachers outside of school. Please mark your calendars!! If you joined the PTA and entered to win Twins tickets we will do the drawing at the first meeting (you don’t need to be present to win). Thanks to everyone who came out to the playground on Saturday. I saw some shy kindergartners and some not so shy ones 😉 Hopefully having a familiar face next week will make the day a little easier! It was great to meet all the parent at both events! Back to school/Meet the teacher/Open house is Thursday! Make sure to stop by the PTA table. There will be a photo booth-you can snap a cute photo op! Everyone who signs up to join the PTA (only $10) will receive a free spirit wear shirt AND entered in to a drawing to win Twins tickets. The school was full of activity last week as teachers came back to get ready. Lots of new faces this year. I saw Mrs. Bethke a couple weeks ago bringing the new pets for her classroom! It’s almost here! The PTA has been working hard to get ready for the start of school. We’ve set up the first four Discovery dining out nights! You can see them here! This Saturday August 25th we are having our playground dates and meet and greets. From 9-11am we will welcome our new Kindergartners to DCS. All families (not just kindergarten) are welcome to attend. There will be some light refreshments, games, bubbles, chalk, etc. No RSVP required. We want those Kindergartners to be SUPER excited to start school at DCS. Make sure to stop by the PTA table on back to school night. Anyone who joins our PTA and pays the $10 membership dues will be entered to win Twins tickets for the September 28th game. We will have a photo booth that you can get some fantastic photo ops with the kids. There will be giveaways and we will be available to answer questions. Also, don’t forget to take a peek at the outdoor classroom that we’ve been working on this summer! My 2nd grader started his countdown to school this morning. We have a small white board on the fridge and he wrote 29 days until school! He tells me he’s nervous about 2nd grade because it’s “way harder” than first or kindergarten but he’s excited to see his friends again. A couple of events coming up! The morning of Thursday August 16th we will be down at the school working on the outdoor classroom. We need some outdoor carpeting put down, the tables and umbrellas put in place and perhaps some bird houses hung. Email dcspta@dcspta.com if you’re interested. August 30th is back to school night! Please make it a point to stop by the PTA table. You can join the PTA that night for $10. Each membership will be eligible to win Twins tickets! If you ordered spirit wear you can pick up and pay for the shirts. We will also be selling DCS water bottles for $5. Don’t forget to check out our photo booth and get some cute photos! My cricut has been hard at work making some cute photo props!! Enjoy those last 29 days! Thanks to a generous donation from the Minnesota Twins we will be holding a raffle on back to school night for free tickets to the 9/28/18 game! For every paid membership you’ll be entered to win Twins tickets. If you would like an additional chance to win we will sell additional raffle tickets for $5 each. The membership cost is $10 per person! Stop by and see us on back to school night! We know it’s almost time when the school supply list comes out! You can click here to get a head start on your shopping! I am grateful they are out so early since it seems the stores are already starting their sales. You can also see on the link that DCS has hired new 2nd, 3rd and 4th grade teachers! Make sure you welcome them when you see them around the school. Ms. Leurquin the previous 4th grade teacher has moved to 5th grade and Sheri White former STEM teacher has moved to 7th grade. Uniforms are also ready to ordered! You can find them here. If you’re looking to just have embroidery the company prefers you pay online in the same site and then drop them off. Our first spirit wear day is September 14th! Students can wear spirit wear or plain blue/green shirts with uniform pants. You can purchase spirit wear here. Or if you would like a sweatshirt that link is the same as the uniforms. Reminder there is a board meeting Wednesday July 25th at 6pm! Please try to attend. Hello all! I’m both sad and happy to realize summer is almost over. We’ve gotten notifications to buy uniforms and the parent chat page is starting to have talk of school supplies! I’ve been busy this summer getting items for raffles, incentives and auctions. I’m super excited to go down and check the mail at DCS next week and hopefully I’ve gotten some more goodies. I’ve updated the current donors on our website so you can check out what will be offered so far this year. Our next event is the Kindergarten playdate on August 25th from 9-11am at the DCS playground. It’s a low key event to welcome the new students for next year. You DO NOT have to have a new kindergarten student to come. All are welcome. The kids play while parents chat. We hope to see you there. The next event is back to school night on August 30th. Please stop by the PTA table for a photo op and check out what I made over the summer. We will be offering a raffle this year for membership. Every $10 membership will get you one raffle ticket. You can purchase additional raffle tickets as well. Stop by to see what the raffle item will be. Also stop by to sign up for email updates. DCS PTA is going green in 2018 and we will be cutting back on paper flyers going home. We will try to do everything electronically! The July DCS board meeting is Wednesday July 25th at 6pm. After a short meeting the board members will be doing a give back to DCS and doing a project led by Mrs. Lines. Parents are welcome to help! That’s all for now. Enjoy the last of the summer and I’ll see you next month!